string(1040) "Resource Centre > Uncategorized > The Global Slavery Index 2018"
Governments and businesses prioritise human rights in decision making when engaging with repressive regimes. Governments proactively anticipate and respond to modern slavery in conflict situations. Governments improve modern slavery responses at home. G20 governments and businesses address modern slavery in supply chains. Governments prioritise responses to violations against women and girls. 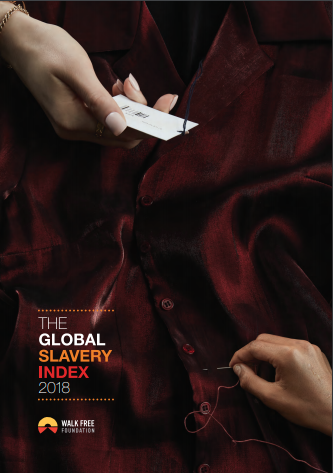 Below are the infographics of Walk Free Foundation‘s Global Slavery Index 2018. Below is the video about the 2018 Global Slavery Index by Walk Free Foundation.